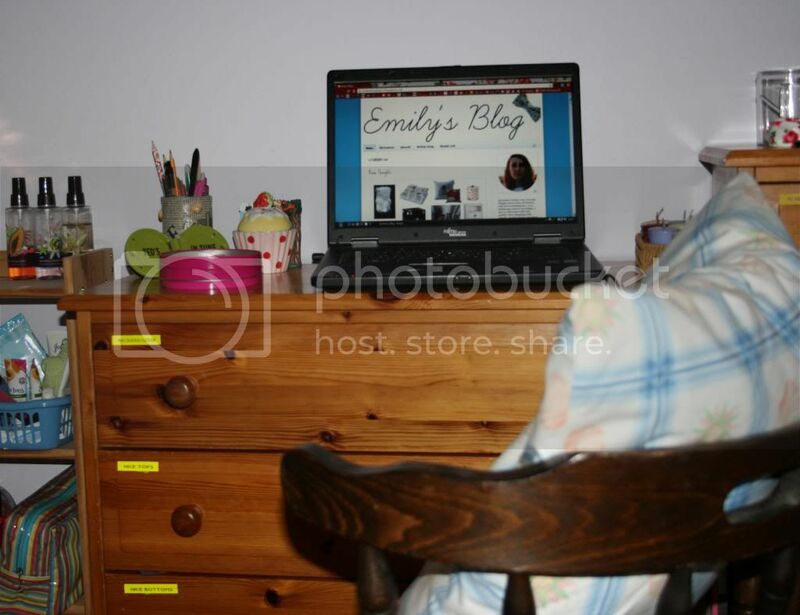 I find these posts rather interesting, to know where bloggers create their posts and what they keep beside their computer. So what I keep by my laptop is a pot, made by me. Surprisingly it is a tin can covered with newspaper and sea shells. Which I really like, this holds all the pens and pencils. 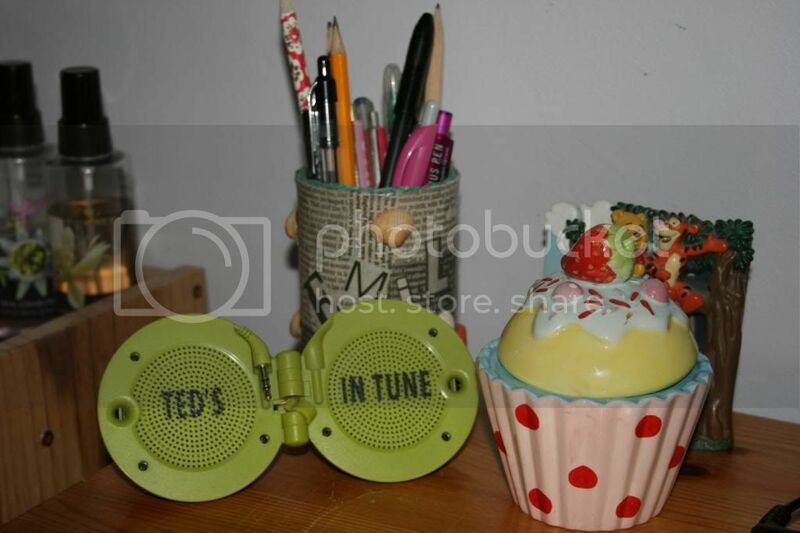 I have some speakers which I like to plug into my iPod when I fancy like some music, they are from Ted Baker hence the 'Ted's in tune'. The ceramic cupcake is where I store my most worn earrings which was given to me by a good friend. I also keep my lip balm tin, with all my lip balms in them on the same dresser, just in case my lips are a little on the dry side. Also there is a 'Winnie the Pooh' frame which holds a picture of me when I was little. I have that cupcake pot too! and I did the same kind of thing with a tin can but i wrapped wrapping paper round it instead. Great post! 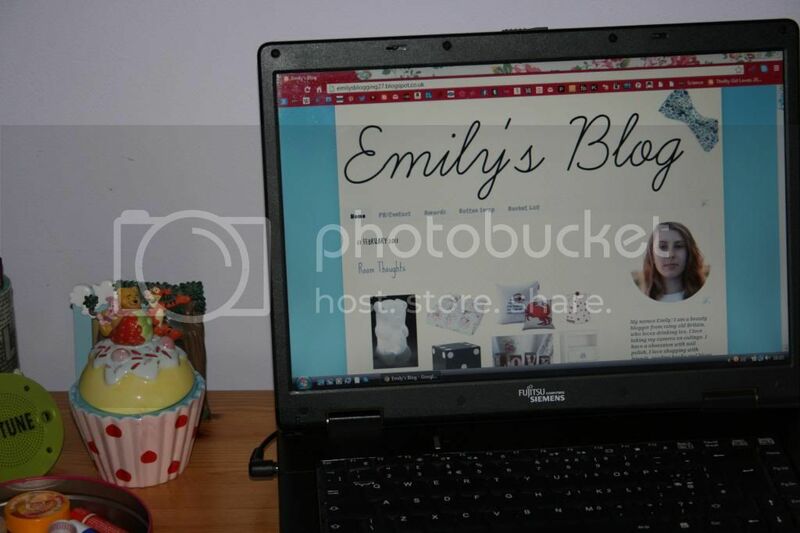 Love you blog by the way!